With the Billy Martin-managed Twins trailing 2-0 in Detroit, Cesar Tovar led off the bottom of third with a single off of Mickey Lolich. Then, with Rod Carew at the plate, Tovar was balked to second and stole third. Perhaps distracted by Tovar, Lolich walked Carew. Then, with Harmon Killebrew at the plate, the Twins executed a double steal, with Carew swiping second as Tovar stole home. With Killebrew still at bat, Carew stole third and home to tie the game. Killebrew ultimately struck out, and the Twins went on to lose the game 8-2. They would, however, go on to win the division but were beat in the League Championship Series by Baltimore. Forty players have stolen second, third and home consecutively a total of 50 times in MLB history, 11 since 1940. The feet was accomplished four times in the '80s, twice in the '90s, once in the '00s, and, most recently, by Dee Gordon in 2011. Paul Molitor pulled it off in the first inning versus Oakland on July 26, 1987. The Twins lose 4-2 in Baltimore, beginning a team-record 14-game losing streak. They won't win again until June 4. They will lose eight games on the road, and six at home in the Dome. Ron Davis and Brad Havens will each pick up three of the losses. The Yankees' Goose Gossage, on the other hand, will pick up two wins and two saves. The Twins had an ugly day at Fenway. 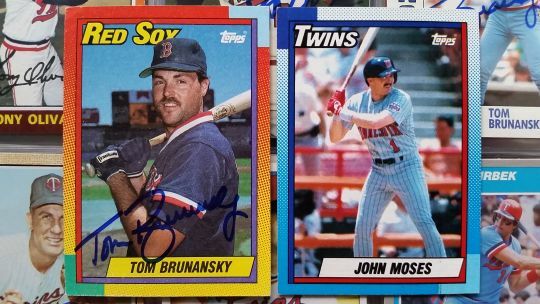 The Red Sox’s Tom Brunansky drew first blood, driving in Wade Boggs with a one-out double in the first. The Red Sox went on to score five runs on five hits in the first off of Twins starter Allan Anderson, who only lasted ⅔ of an inning. Brunansky went 5-for-5 with two home runs, seven RBI, and three runs scored as the Red Sox pummeled the Twins 13-1. Tom Kelly called upon outfielder John Moses to pitch the bottom of the eighth. He gave up just one run on two hits in his second pitching appearance for the Twins. His previous appearance had also come at Fenway in 1989 as he pitched a scoreless eighth inning, not allowing a hit but walking one. He would pitch a third time for the Twins in July, 1990. Trailing 2-5 in the top of the ninth in Toronto with Torii Hunter, Michael Cuddyer, and Henry Blanco on base and one out, the Twins sent Matt LeCroy out to pinch-hit for third baseman Alex Prieto. LeCroy hit the Blue Jays' Terry Adams' 1-0 pitch out of the park, giving the Twins a one-run lead. Joe Nathan put the Jays down in order in the bottom of the ninth, earning his 13th save of the season. LeCroy's is the most recent of twelve pinch-hit grand slams in Twins history. Rich Reese hit three pinch-hit grand slams during his Twins career. 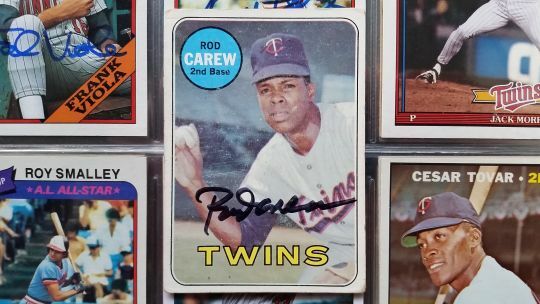 The Twins as a team hit two in 1970, one each by Reese and Rick Renick. Keep in touch with the @TwinsAlmanac on Twitter.